Greet & Cook in Japan! 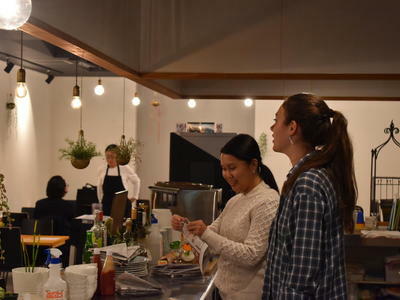 Tabibito-Shokudo is a pop-up restaurant where our travellers (you!) will share a recipe from their home country. We will ask you to work with us in local restaurants, one on Tuesday and another on Friday/Saturday nights, where we will make your dishes and the restaurant's staple dishes together and serve them to the local customers, who you'll get to talk to and spend time with. You'll stay in our international share house in return.